OUR CONTRACT TERMS OVERLEAF WILL APPLY TO ANY CONTRACT BASED ON THIS QUOTATION. THE TERMS CONTAIN EXCLUSIONS AND LIMITATIONS OF OUR LIABILITY. YOUR ORDER [REFERRED TO ABOVE] [NO [number] DATED [date]] IS ACCEPTED ON THE BASIS THAT OUR CONTRACT TERMS [OVERLEAF] [ON THE REVERSE OF OUR QUOTATION NO [number] DATED [date]] [PUBLISHED ON OUR WEBSITE [address]] WILL APPLY. THE TERMS CONTAIN EXCLUSIONS AND LIMITATIONS OF OUR LIABILITY. 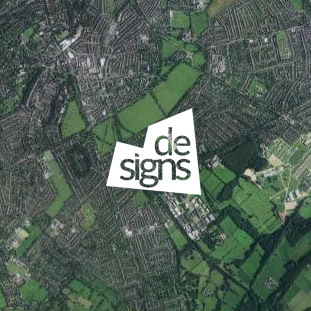 DE-SIGNS SIGNS & GRAPHICS CENTRE LTD CONTRACT TERMS Definitions “Order” refers to any order for goods or services we receive from you “Goods” means items ordered by you and supplied by us. “The 1998 Act” means the Late Payment of Commercial Debts (Interest) Act 1998 “Services” means work ordered by you and carried out by us. 1 Formation of contract These Contract Terms shall override any other purported terms or conditions and no amendment to them will take effect unless we agree in writing. 2 Specification The Goods and Services will be in accordance with (i) our current product description, and (ii) any additional written specification or description contained in the Order. 3 Delivery and risk 3.1 You will be deemed to have accepted the Goods when we deliver them to the address specified in the Order. You will be deemed to have accepted the Services when we leave site on completion of the work. 3.2 Unless otherwise stated in the Order, the price quoted includes delivery of the Goods to the address specified in the Order or provision of the Services at the address specified in the Order. 3.3 Our estimate of the time/date for delivery of Goods or completion of Services is given in good faith, but is not binding on us. Time is not of the essence of this contract. 3.4 Risk in the Goods will pass to you upon delivery. 4 Payment 4.1 For customers who do not have a credit account with us, our payment terms are – Deposit as specified in our quotation payable with your order – Balance on delivery or completion of our Services. 4.2 For customers who have a credit account with us, our payment terms are 30 days from date of invoice. 4.3 The late payment compensation and interest rates permitted by the 1998 Act and any Regulations made thereunder will be applied to all late payments where the customer is a business subject to the 1998 Act. 4.4 Where the customer is not a business subject to the 1998 Act on the day after payment becomes due under this contract a late payment fee of £50 will be payable in addition to the contract price, and we will also charge interest at 5% per year calculated daily on the total invoice amount until payment in full. 4.5 Credit account application forms may be obtained from our accounts department. We have absolute discretion as to the granting of credit accounts and are not obliged to give any reason for our decision. 5 Title to Goods and Intellectual Property 5.1 Except in relation to intellectual property rights of third parties referred to at 5.3 below, we warrant that we have good title to the Goods and we will transfer such title as we have to you subject to 5.4 below. 5.2 We are not aware of any actual or alleged infringement of the intellectual property rights of third parties relating to the Goods other than those (if any) which we have disclosed to you prior to acceptance of the Order. 5.3 Other than as provided at 10 below, we shall not be liable to you in the event that the Goods or Services infringe any intellectual property rights of a third party whether alone or in association with any other goods; we give no warranty that the Goods will not constitute an infringement, and all conditions and warranties relating to any such infringement or alleged infringement are hereby excluded. 5.4 You will not acquire title to any of the Goods until we have received payment of all sums due from you under this and any other contract we have with you. Notwithstanding and without prejudice to our retention of title we may sue for any payment which has become due. 5.5 By entering into this contract you irrevocably agree that we and our agents may at any time with or without notice in your name and with your authority take such steps as are reasonably necessary to enter on your property or the property of any third party at which we reasonably believe our Goods to be situated and to remove therefrom any Goods for which payment has not been made in full 30 days after the date of our invoice and you further agree to indemnify us and our agents against all costs claims and demands which may be made as a result of such entry and/or removal whether for damage caused or otherwise. 6 Storage If we are unable to deliver the Goods within 14 days after we have notified you that they are ready for delivery, we may store them for you, whereupon delivery shall be deemed to have taken place and all risk in the goods shall pass to you. You shall pay all charges for storage and insurance within 30 days of our invoice. We may charge for storage on our own premises. 7 Force majeure 7.1 We shall not be liable for delay or failure to perform any of our express or implied obligations to you where that delay or failure is due to circumstances outside our reasonable control. 7.2 Such circumstances include but are not limited to (a) the structure, nature and condition of the surface to which we apply or from which we remove any material or (b) the effect, either on the underlying surface or on material to be removed from it, of age, sun, pigment, processes or any other factor outside our control. 8 Guarantee 8.1 No liability is accepted and no guarantee is available for Goods which are damaged or fail to function as a result of the surface to which they are applied or stresses and conditions to which they are subjected after delivery. Subject to this exclusion, for goods which we manufacture we give the following guarantee: 8.1.1 Subject to 8.1.3 below, we will at our discretion either repair or replace defective Goods where the defects appear under proper use within 12 months from the date of delivery, PROVIDED THAT: 8.1.1.1 you give us notice in writing of the defects complained of upon their becoming apparent; 8.1.1.2 we find to our reasonable satisfaction that such defects have arisen solely from our faulty design, workmanship or materials; and 8.1.1.3 the defective Goods are returned to our factory at your expense if we so request. 8.1.2 We will re-deliver any repaired or replaced Goods free of charge to the original point of delivery and subject to these Contract Terms save that the period of twelve months referred to in clause 8.1.1 shall be replaced by the unexpired portion of that period only. 8.1.3 Alternatively to 8.1.1, we may choose to refund the price of the defective Goods or, if the price has not been paid, issue a credit note. 8.2 We will pass on to you so far as possible the benefit of any third party warranty attached to Goods or Services. We will on request supply details of the terms of any such warranty and copies of any relevant written information and instructions issued by such third parties and you shall be solely responsible for complying with all of these. 8.3 Subject to 12 below our liability set out in this clause 8 shall exclude all other liability to you whether in contract, tort or otherwise for defects in the Goods and Services or for any loss or damage to or caused by the Goods or Services. All other conditions and warranties concerning the Goods and Services are hereby excluded. We give no warranty regarding the fitness for purpose, performance, use, nature or quality of the Goods and Services. 9 Intellectual property rights 9.1 Subject to 9.2 and 9.3 below, if any claim is made against us for infringement of Intellectual Property Rights arising directly from your use of the Goods or Services, we will at our own expense conduct any ensuing litigation and all negotiations for a settlement of the claim. We will bear the costs of any settlement or any judgment against us in the event of litigation. 9.2 Clause 9.1 above will apply only if you give us the earliest possible notice in writing of any such claim being made, make no admission of liability, take no other action in response to the claim, permit us to have the conduct of the claim, and (at our expense) give us all reasonable information, co-operation and assistance (including without limitation lending your name to proceedings) in relation to the conduct of the claim. You shall comply with all conditions of settlement or judgement in relation to such a claim including a condition to return or destroy all infringing Goods still under your control, subject to a refund from us of any payment for such Goods already made after deducting a reasonable allowance for your use of them. 9.3 Any design or instruction furnished by you shall not be such as will cause us to infringe any Intellectual Property Rights. Clause 9.1 above will not apply to, and you hereby irrevocably agree to indemnify us in full against all costs claims liability and other expense arising out of, any infringement caused by our having followed a design or instruction furnished by you, any use of the Goods in a manner or for a purpose which we specifically prohibited, and/or any infringement which is due wholly or partly to the use of such Goods in association or combination with any other product. 9.4 For the purposes of this clause 9 “Intellectual Property Rights” means Patents, Registered Designs, Unregistered Designs, Registered Trademarks and Copyright only, having effect in the United Kingdom. 9.5 Clauses 9.1 to 9.4 above state our entire liability to you and your sole remedies against us in connection with any claim based on the infringement of Intellectual Property Rights of third parties. 10 Confidentiality Neither of us shall without the other’s prior consent in writing disclose to any third party any technical or commercial information which either of us acquires as a result of the ordering or provision of Goods or Services. 11 Economic loss and limitation of liability Subject to 12 below and notwithstanding anything else contained in these Contract Terms or the Order 11.1 in no circumstances shall we be liable in contract, tort (including negligence or breach of statutory duty) or otherwise (i) for any loss of profit, business, contracts, revenues, or anticipated savings, or (ii) for any special, indirect or consequential damage of any nature whatsoever. 11.2 our liability to you in contract, tort (including negligence or breach of statutory duty) or otherwise shall be limited to the price of the Goods and Services. 12 Unfair Contract Terms Act 1977 12.1 If and to the extent that s.6 and/or s.7(3A) of the Unfair Contract Terms Act 1977 applies to our contract with you, no provision of these terms and conditions shall operate or be construed to operate so as to exclude or restrict our liability for breach of the express warranties contained in clause 5 above, or for breach of the warranties as to title and quiet possession implied by s.12(3) of the Sale of Goods Act 1979 or s.2(3) of the Supply of Goods and Services Act 1982 as amended. 12.2 Where you are a natural person and to the extent that s.2(1) of the Unfair Contract Terms Act 1977 applies to our contract with you, nothing in these Contract Terms shall operate so as to exclude or restrict our liability for death or personal injury caused by our negligence or that of our employees or agents. 12.3 These Contract Terms shall not operate so as to exclude the liability of either you or us in respect of fraud or a fraudulent misrepresentation or to restrict or exclude any remedy which either you or we may have in respect of such fraud or fraudulent misrepresentation. 13. Waiver Nothwithstanding any deliberate or accidental failure on our part to apply or enforce any term of this contract the said term and all other terms will remain effective and capable of application or enforcement at any time. 14 Dispute resolution 14.1 Our contract with you is a contract made in England and shall be governed in all respects by the law of England and Wales and both parties agree to submit to the jurisdiction of the English courts. 14.2 Prior to issuing any court proceedings other than for injunctive relief both parties will submit to mediation any dispute arising out of or in connection with our contract and will request the appointment of a mediator by the President for the time being of the Association of Northern Mediators.